Point of purchase displays are not just for drawing attention to your product, they also send a message. If for any reason you have any questions or comments about point of purchase displays, feel free to give us a call at 630-323-1354 or fill out the form to the right and a representative will respond shortly. 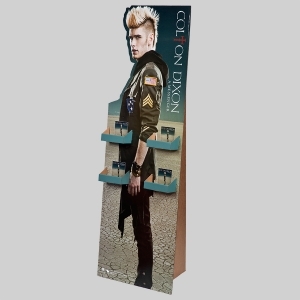 Our point of purchase displays will enhance your brand’s visibility and take control of the customer’s first impression. It is not about being another product on the shelf, it is about being the product of the aisle by having your own display. The point of purchase displays provided by Packaging Design are very reasonably priced compared to our competitors and we want to help you make the most out of your custom in-store product display design. Check out our other packaging options on our products & services page. If for any reason you have any questions or comments about point if purchase displays, feel free to fill out the form to the right and an associate will respond shortly or give us a call at 630-323-1354 to speak with a knowledgeable representative.